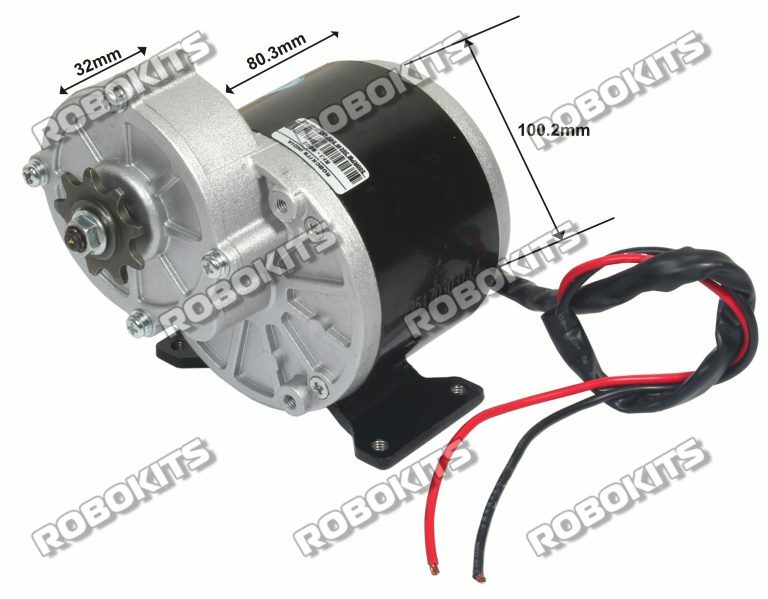 This is a 24 volt 350 watt gear reduction motor compatible with a 9 tooth 1/8" bicycle chain sprocket. This motor is great for those wanting to make their own custom electric vehicle, whether it's a scooter or electric bicycle. This electric motor with gear reduction produces more low-end torque than any standard motor.